Indonesia, the biggest economy in Southeast Asia, is dangerously adrift as it approaches presidential and parliamentary elections. Its rule of law is weakening, and essential economic reforms are faltering. This is bad news for a region where freedom is imperiled, and where Indonesia had stood out as a democratic bastion. Indonesia is a critical state in a region at the center of growing U.S.-China tensions. Jakarta’s approach to economic and strategic ties with Beijing has helped set the tone for how the rest of the region responds to challenges from China. While it has tried to boost relations with China over the past two decades, Indonesia’s recent skepticism of Beijing’s approach to the South China Sea—expressed through actions such as holding large military exercises near these waters—has emboldened other states, such as Malaysia, that are wary of China’s regional ambitions. At the same time, Indonesia generally has resisted U.S. attempts to contain China via the White House’s Free and Open Indo-Pacific strategy and instead has pushed for the Association of Southeast Asian Nations to be at the center of regional security. Indonesia remains the most democratic state in Southeast Asia. It is also a stronghold for Islamist movements, including those inspired by the Islamic State, while the region has become a major front for Islamic State–related activity, both in Indonesia and the Philippines. The elections on April 17 are probably not going to revitalize Indonesian politics. The campaign, which pits incumbent Joko Widodo, popularly known as Jokowi, against challenger Prabowo Subianto, has appeared lopsided, with Jokowi likely to win. Jokowi has responded to rising Islamism and its political mobilization with efforts to co-opt Islamists, including choosing a former cleric known for his hard-line views as his running mate. Jokowi has also abandoned earlier pledges to improve the human rights climate. He has increasingly used security forces to support his own political priorities, and he has overseen an extrajudicial war on drugs. The government has made inroads on poverty and unemployment; the latter currently stands at just over 5 percent, down from more than 6 percent in 2015. 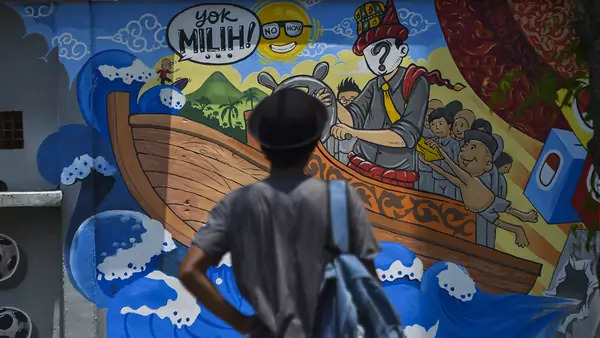 But Jokowi has dropped many reformist ideas he touted in his first presidential campaign, such as boosting growth to 7 percent annually and attracting investment. On the campaign trail this time, Jokowi has offered reheated and dubious reform proposals. The country remains one of the emerging markets most vulnerable to a regional trade war and other external shocks. A lackluster victory for Jokowi would give him little momentum to lead on the economy or foreign policy. A weak second-term Jokowi would likely mean that U.S.-Indonesia relations remain stalled. As I noted in a Council Special Report, although relations have warmed in recent years, U.S.-Indonesia economic and security ties still lag Washington’s links with other leading countries in the region. This is true even though Indonesia is becoming one of the biggest consumer markets in the world, has a strategic partnership with the United States—albeit one that has produced few dividends—and wields the most influence over regional diplomacy. Jokowi appears likely to flirt between reform and economic nationalism, doing little to attract more investment. Indonesia would hew to its belief that regional strategy should be centered on ASEAN, rebuffing the Trump administration’s Indo-Pacific strategy. Prabowo still has an outside chance. If he wins, the country could fare worse—and relations with the United States might become rockier than if Jokowi remains president. Prabowo’s tough talk toward China could actually endear him to the White House, but he might struggle more than Jokowi to work with Washington on issues ranging from boosting trade ties to combating militant groups, given Prabowo’s links with Islamist groups. Prabowo’s reputation for unpredictability could further damage Indonesian democracy. A former lieutenant general, he has been linked to serious human rights abuses, and he has intimated that he would govern as a strongman. With either man in charge, Indonesia will likely continue to drift, costing the United States a partner on the South China Sea, rising Islamism, and democracy promotion in a region the White House has made a top priority.